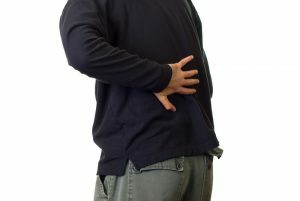 There are a number of reasons why someone should consider finding an attorney for their back injury. This includes negotiations with insurance companies, calculating any value for your damages, and pursuing any legal action that might be necessary when settlements are unsuccessful. For minor back injuries, it is usually not necessary to take legal action. With major back injuries that will be life changing, legal action can provide you with more support. The law office of Joseph C. Crudo, PLC specializes in personal injury cases, including back injuries. Consider getting in touch with one of our back injury attorneys today! Why Would I Need a Back Injury Attorney? Filing a Lawsuit – If you need to hold someone or a company accountable for either your injury or something related to your injury, you will need a lawyer to help you through the lawsuit process. Lawyers know all of the ins and outs of lawsuits and will let you know if it is even worth pursuing. Pursuing Legal Claims – You might need to file legal claims such as worker’s compensation, or a cause of action for multiple companies. We can help with any of these by evaluating your case and giving the best advice possible. Negotiation of Fair Settlements – Insurance companies are known to take advantage of patients, we can help ensure you are given a fair trial and settlement. Our lawyers know the rules and how to negotiate their way to decent settlements. Have an Even Battle – Without a lawyer, going up against insurance companies that have a team of lawyers, will leave you losing your claim. By hiring a back injury attorney, you stand an even chance when going up against the insurance companies. Our lawyers have years of experience dealing with unfair insurance companies, so we know what we are up against. Calculate Damages – When filing a lawsuit or a claim, it is important to have a clear record of all damages you have had. Attorneys will ensure your calculation is accurate in order to strengthen your claim or lawsuit. Ensure Correct Medical Care – Although your medical care is completely up to your doctors, a lawyer will help you ask the right questions and treatment options for your future. This will ensure that you have proper medical treatment for your injury. We Are the Experts – We have spent countless hours studying and practicing personal injury law. We can assure you that hiring an attorney for your back injury will only benefit you. Are you in Need of a Back Injury Lawyer? If you have recently suffered a back injury and need legal guidance, our personal injury lawyers in San Diego are here to assist. Give us a call at 858-622-7280 for a free consultation today or fill out our online contact form on our contact us page.